They are highly sought after. You'll probably notice quite a few photos are taken in a museum. Gary Istok is a one of the most knowledgable collectors of these. 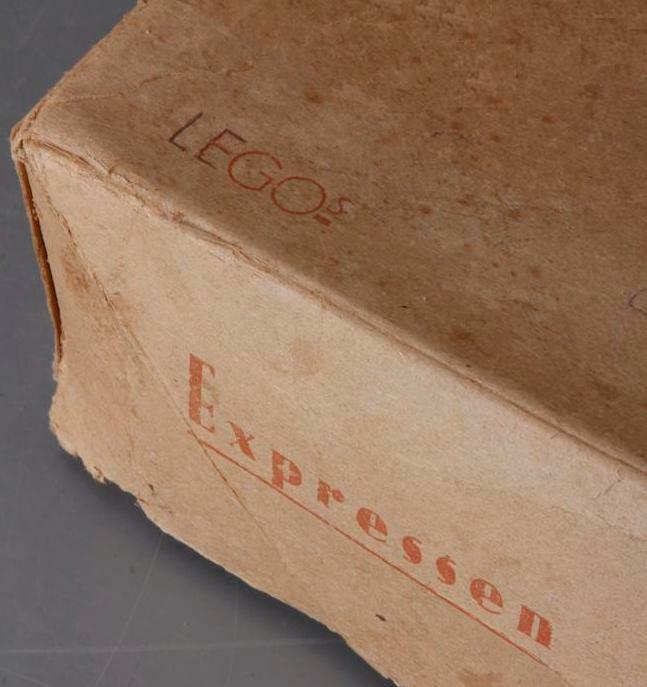 He frequently post here as well about his collection and the history of LEGO. And as @CCC‌ said, they are highly saught after. I was looking around @CCC's link and seems like the stuff that is for sale is quite expensive. 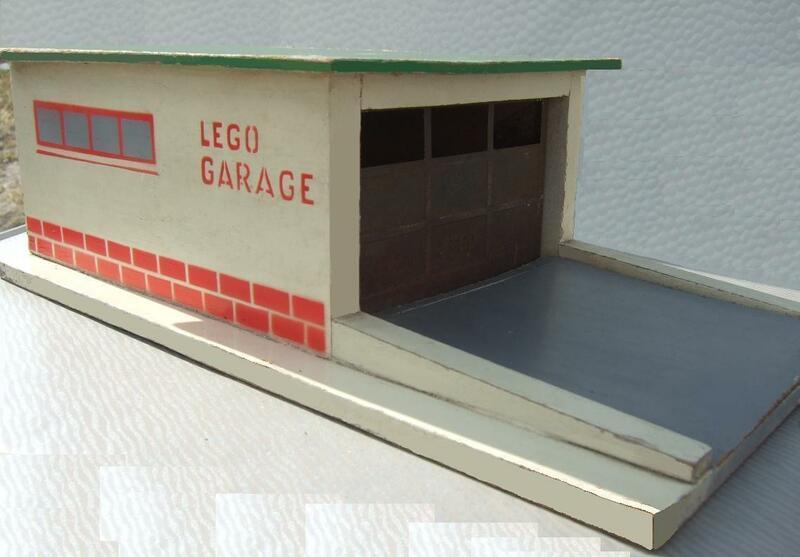 I then searched "wood Lego" on eBay and there is some guy selling some of this stuff super cheap, but I'm guessing by the time the auction ends the prices will sky-rocket. Yes, I'm a wooden and early plastic toy Lego collector. Over the years I've managed to pick up quite a few items. I've got some wooden aniamls, a wooden train, a wooden tracker and harvester, wooden block sets and other wooden misc items. As far as plastic goes I have a Ferguson tracker, a cross and a bunch of 1:87 cars and trucks. If people are really interested I can post some photos. As for cost of these things, they are ungodly expensive. I've bought a few items from the seller @bobabricks is highlighting. Most of the time the price is just too high or there are too many people willing to pay much more than me. When I have won these auctions overall he's great guy to deal with and is super friendly. But you need to look at the photos very closely and ask questions, as he will gloss over problems. I have absolutely zero interest in anything that's not the interlocking plastic brick system. 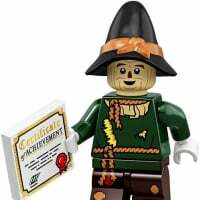 BrickLink is terrible for any information about Lego's early history. Give the stuff isn't exactly popular and is fairly rare that should be all that surprising. I'll try to some photos this evening, but it maybe have to wait until Sunday. I need natural to take better photos and today is pretty overcast and then I'm a away till Sunday. In the mean time if you're looking for better info and more photos than BrickLink try Miniland. 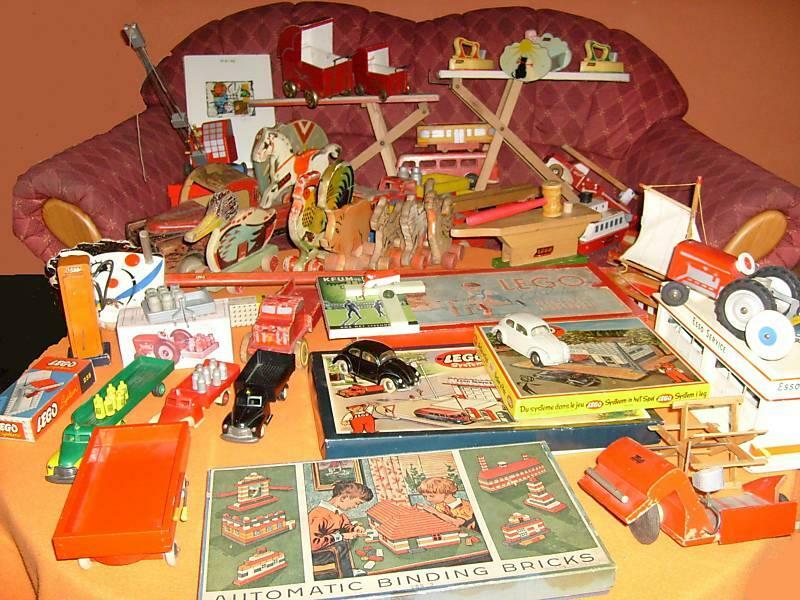 They have a great section on wooden toys, early plastic toys, early bricks and lots of other information. The wooden and plastic toy pages are pretty image intensive and take a bit to load. Why do I get an eerie feeling that I've dumped one or two of these with my MegaBlok junk? ^ Doubtful, considering how old they are. I have been looking for a LEGO pull pig for over a decade for my daughter. I think Lego should do more sets like #2011 . 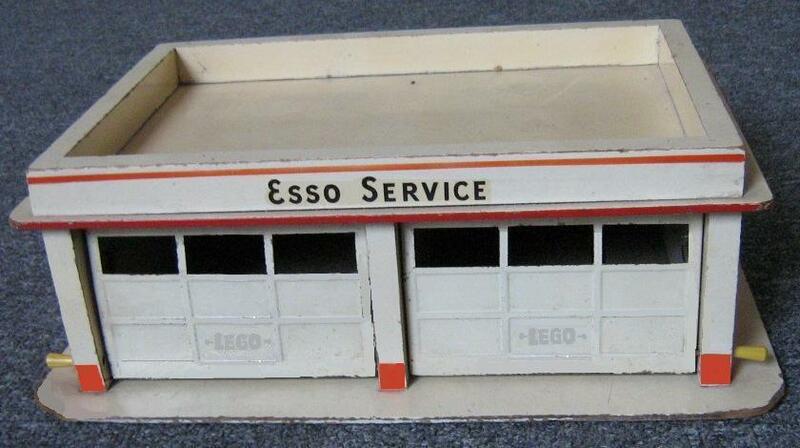 It's fun to see the wooden toys remade into lego building sets. 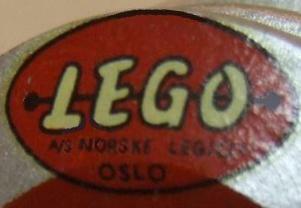 Well let me start off by saying that the old LEGO wooden toys were mainly only sold in Denmark... with a few being sold in Norway as well. 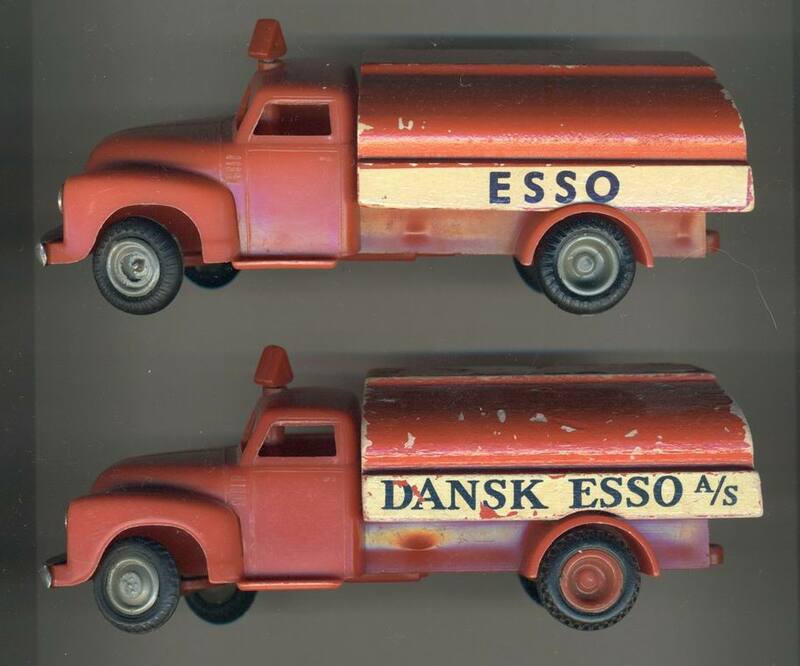 The 1:43 Chevrolet Trucks were sold in Denmark, Norway and Iceland only... not Sweden. So your chances of accidentally throwing away old LEGO (with your Megablocks)... are slim, unless you live in one of the above countries. 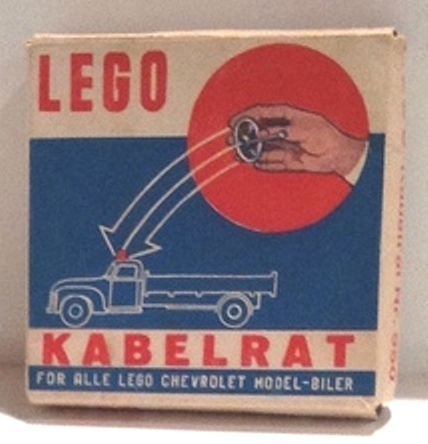 Here is a sample of the over 100 images from my new collectors guide.... a 70 page Unofficial LEGO 1:43 Chevrolet Trucks & Wagons (1952-57). 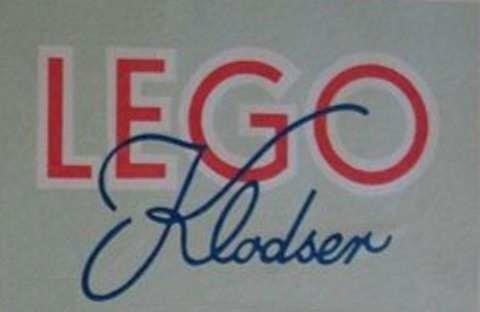 Some of these are also seen in the Miniland site... Danish LEGO collector Erik Rosenström gave me many of his images, which are also on Miniland. I just finished my 1:43 guide (a PDF file about all things 1:43) back in April, and am selling it in Marketplace. My friend in Southern California will soon be opening a physical LEGO museum. He possibly has the largest collection of LEGO wooden toys in the USA. 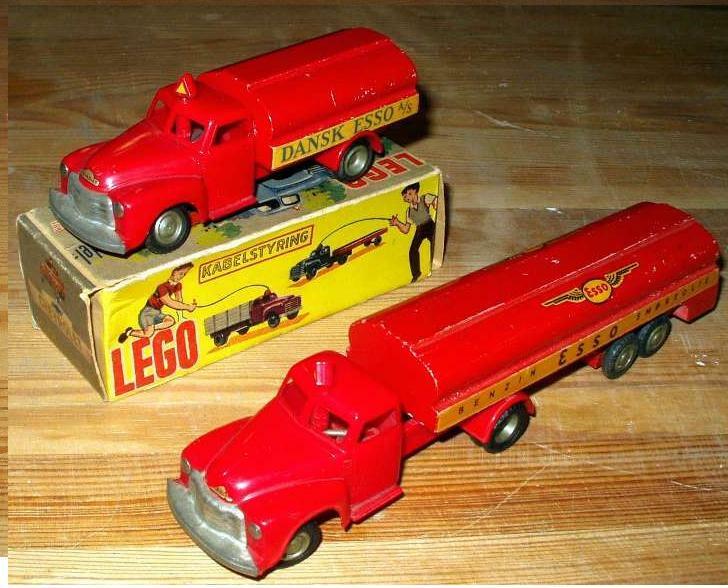 One of the things that I often wondered about was how the wooden toys were packaged for sale? I didn't ever remember seeing a box for these things... and wondered what a box would look like?? 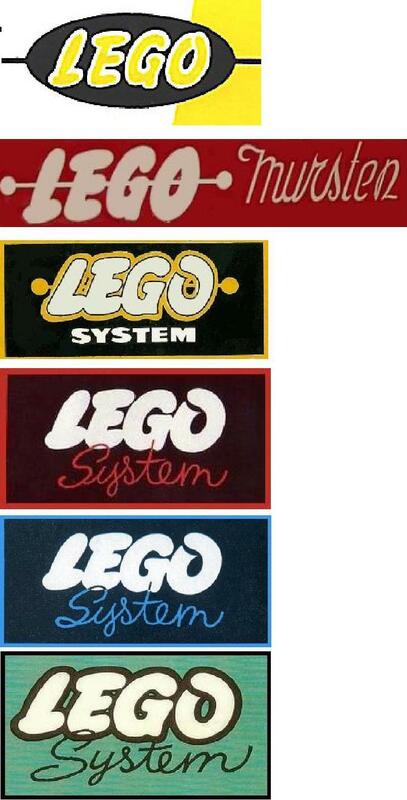 Here are some of the LEGO logos found on early toys. 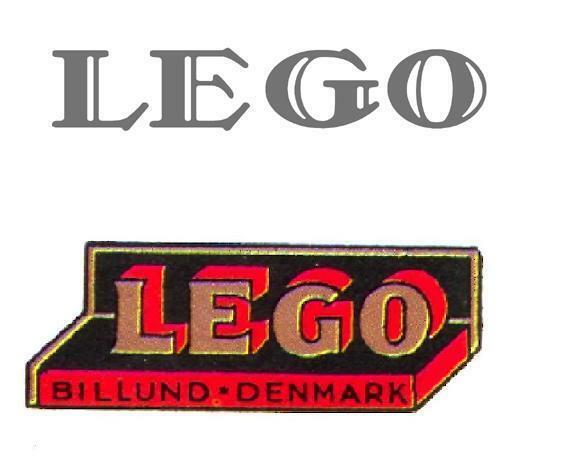 My LEGO collectors guide chapter on LEGO Logos shows over 40 LEGO logos used since 1932. 1953 was the introduction of the "dog bone" logo... this had what looks like a dog bone or dumb bell running thru the logo. The dog bone logo was retired in 196. 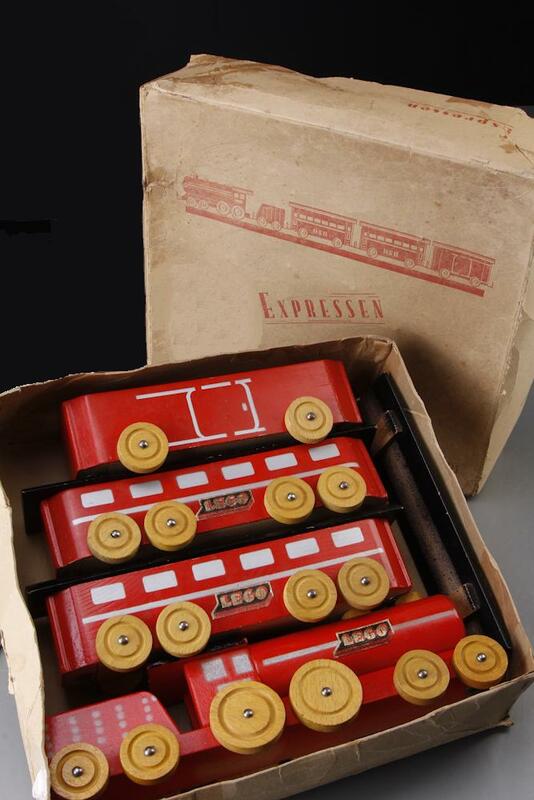 @Istokg Maybe the early toys that were one piece like the animals and cars were just put on the shelf without a box, it would make sense as some wooden toys today do not have boxes and it would still make sense to have box on the multi-piece train and no box on a one-piece car. I'd love to, but they are well out of my price range. 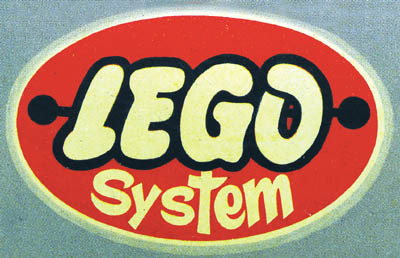 Interestingly enough... the only known occurrences of TLG using the wooden toy logo on LEGO System boxes was in 1952 (with the earlier 1944-53 logo). 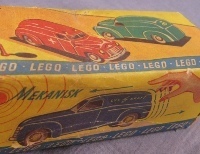 From 1949-52 the boxes of bricks all had Automatic Binding Bricks on the box top... ONLY. 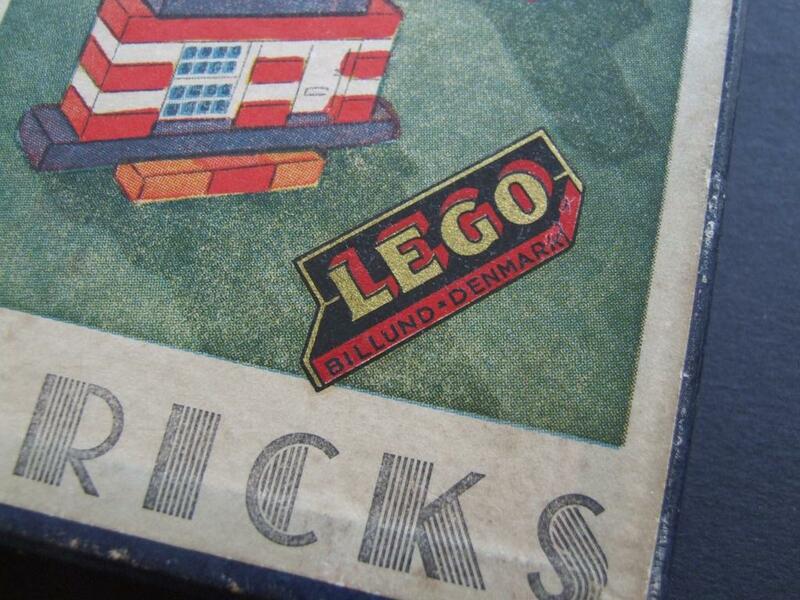 In late 1952 the words "LEGO Mursten" ("LEGO Bricks" in Scandinavian languages)... was added to the Automatic Binding Bricks boxes printed artwork. 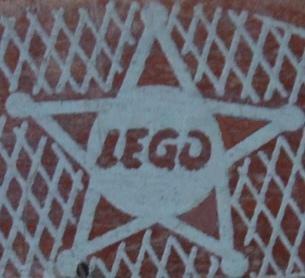 But earlier in 1952... it appears that TLG put the wooden toy logo decal onto the Automatic Binding Bricks boxes. When I first came across this, I was leery that it was put there at a later date. However a year later I found another example of this box type, with the same logo in the exact same angled position... so this is a very interesting variation among the ABB sets. 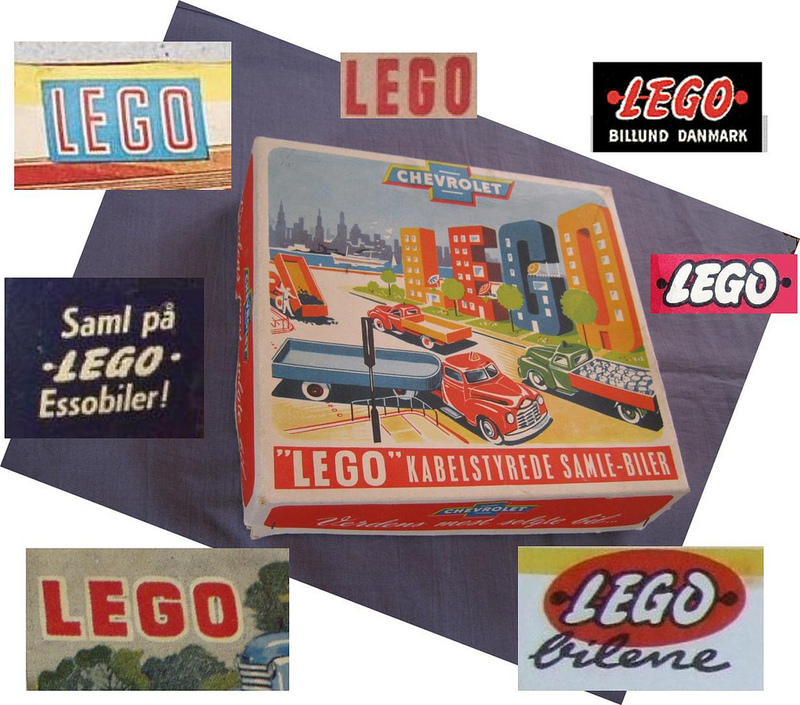 Here's a nice collection of old LEGO... wooden and plastic toys... from my German friend Olaf. I guess that now that I've completed a collectors guide for the 100 different 1:43 LEGO trucks... next in the future is a guide on the wooden toys. 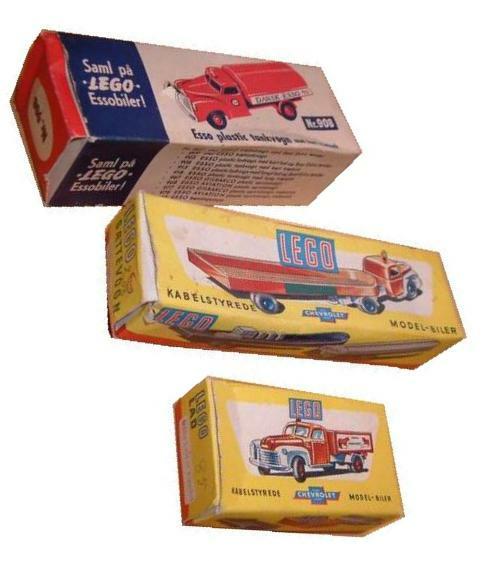 Wooden LEGO toys were mainly produced for the Danish market... although a few items were produced for Norway. 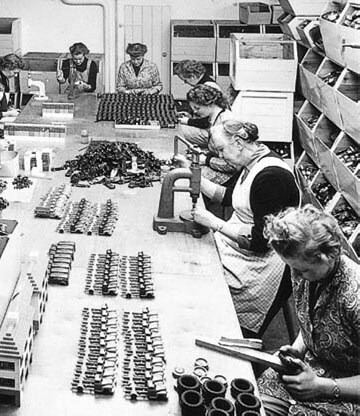 No wooden toys were produced for Sweden however. Ok I finally got some photos of my collection that I can post. I would have post these Friday, but things just didn't work out. So first we have the animals. I've also got a chick (which I don't know where the photo went) and a larger horse. The dogs and horse are fairly small, they fit on my hand. The duck is the largest of these. The duck was the hardest to get and I had to pay through the nose to get it. It still quacks. Next we have the block sets. So these are 18 and 36 piece blocks sets. The 18 piece set is rarer, but I think the 36 piece is more desirable. I've got a other version of the 36 piece set, but the photo is blurry so I'll have to try taking that one again. The tractor was blurry, so I'll have to try that one again. And I was starting to run out of daylight on the train, so I only photoed the locomotive. I don't have the hammer or pegs for the anvil. The second items is a "pinball" game. It comes with three metal ball-bearings. Pull the plunger down and shoot a ball into the game and where it lands is score for the round. The third item is a pull toy. It's missing it's long handle. The red oblong object rotates around as the wheels turn. It's hard to understand what it does with out seeing it work. And finally we have a musketer. It's toy flint lock pistol. I think this was Lego cashing in on the Davy Crockett crazy of the 50s. It was also one of the last fire arms toys Lego made. @LuciferSam that is some serious collection. I hope you don't mind me asking, but what kind of money are we talking for pieces of that vintage? Should introduce him to @Istokg . I'm guessing he would love to get photos of all those toys. 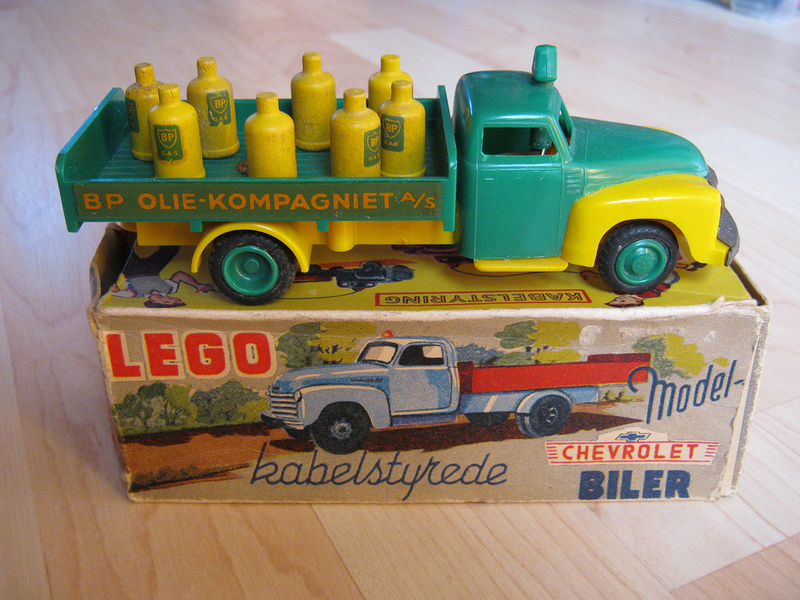 The 1:43 Chevrolet Trucks were only sold in Denmark, Norway and Iceland (here's some images from my collectors guide). 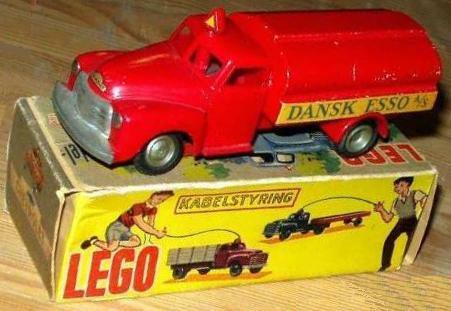 The wooden toys appear to have been just Denmark. There isn't a single answer to that question. Condition plays a huge roll. The big thing is does it say Lego on it. If the logo is missing that has a huge effect on the price. 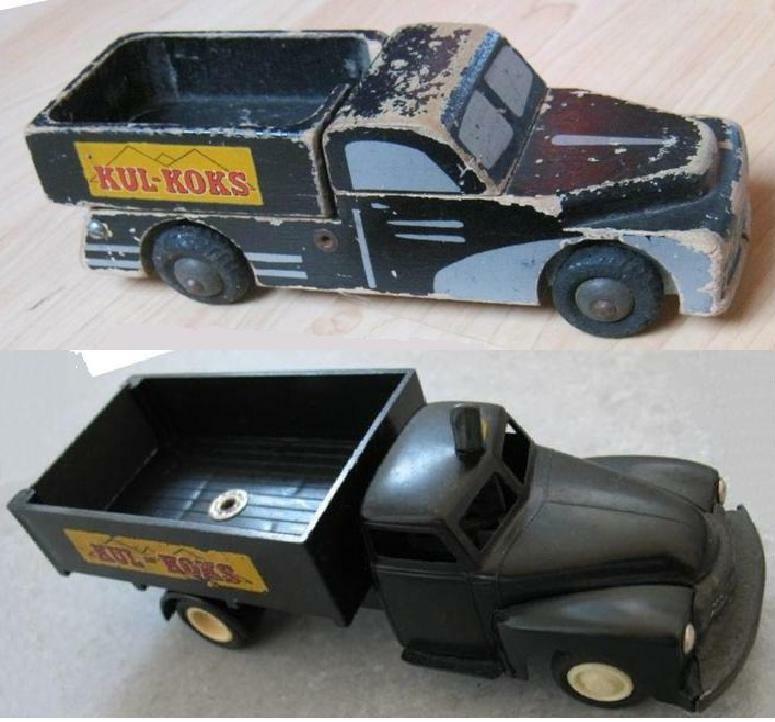 The paint and finish on old wooden toys can be an issue. 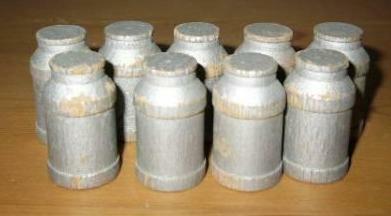 The paint can be chipped or missing from normal play or poor storage. The wood can also be deteriorated. 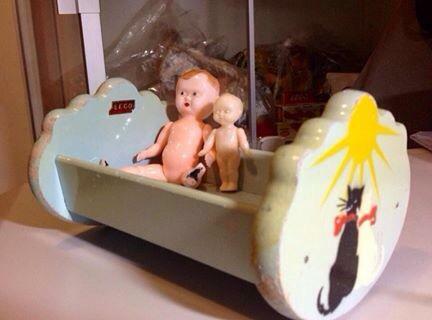 Early plastic toys have their own issues. The other big driver of price is how well known the item is. Pieces featured in the DK books demand a premium. The smaller, less known items are cheaper as the demand isn't there. The smaller animals could be had for $250-$500 US. The farm equipment varies lot. The plastic versions are better known and more desirable. A wood tractor sells for about half of what a plastic one would. 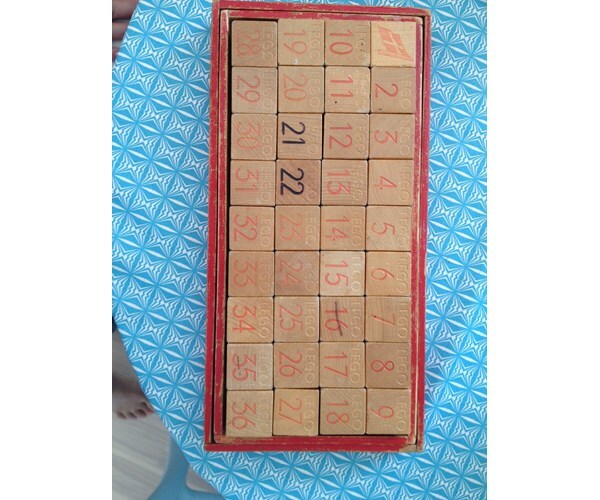 Well known items like the duck or block sets have a high demand and carry a premium no matter the condition. $500-$1,200 US is normal. There are 100s of variations of ducks. Ducks can be hand painted or stencil painted. They can have thin wheels, thick wheels, tapered wheels, or yo-yo wheels. Every type of logo from '32-'58. And they come in a rainbow of colors. My duck is from the late 30s or early 40s based on the logo, it is stencil painted and has thick wheels. Hand painted or ones with yo-yo wheels are the most desirable and carry the highest price tag. Rare or really oddball items are harder to price. The musketer is the most expensive item I have. It's over $1,000. It would be worth more, but the logo is mostly gone. $170 for a 36 block set sounds too cheap to me. The blocks look to be ok, as the finish looks to be mostly intact, but are clearly used. The box might be in really bad shape. I've seen some of these that are barely be held together. I've got one where the bottom can no longer support the weight of the 36 blocks. The paper on the lid is likely gone. But if you're looking to get a well known, high profile early Lego toy that's not a bad price. I get that it's LEGO but it just seems so different to me. Like there is the before and after era. 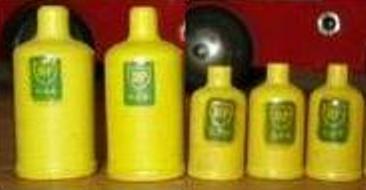 Wood era and ABS plastic era. I obviously don't collect the wood or metal toys. To be honest it is different, but at the same time there is a natural transition between the wooden toys and the bricks we all know and love. I've had a long time term interest in getting a set from every year. The goal would be to have something from every year from 1958 to the present. I'm being pretty good. I don't have anything from 1974, 1960 and 1959, but do from 1953 and 1955-1957. As a result I've come across 1:87 scale elements. At first they were a bit of novelty to me. But I as got more they became more of an interest. 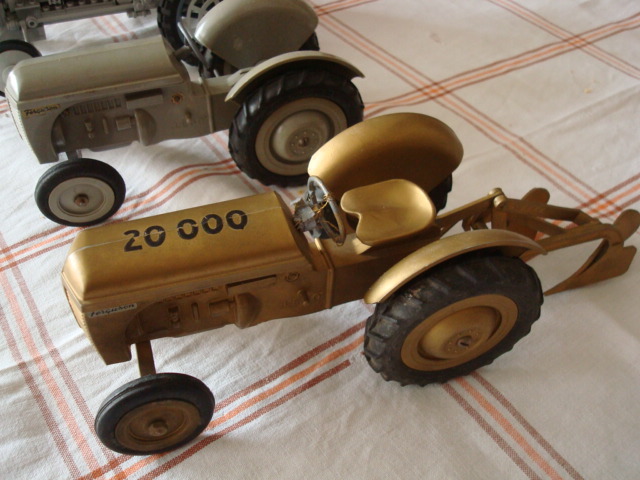 The 1:87 scale vehicles came about because of the larger (1:43-1:35) scale plastic vehicles. 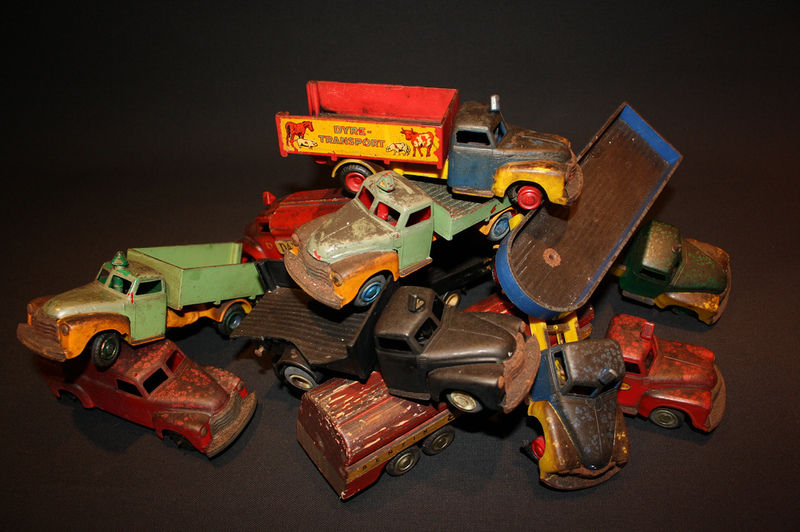 The large scale plastic vehicle came about because of the wooden vehicles. And the wooden vehicles came about because of the other wooden toys. 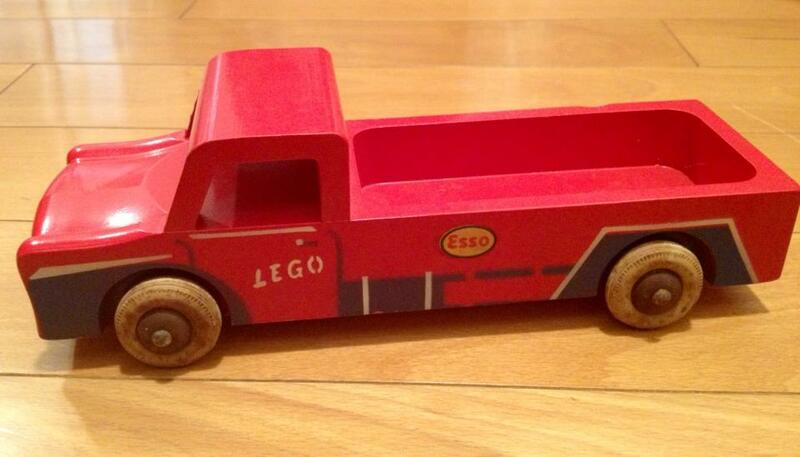 Something to keep in mind is Lego stopped selling wooden toys in 1960 because of a fire early that year. 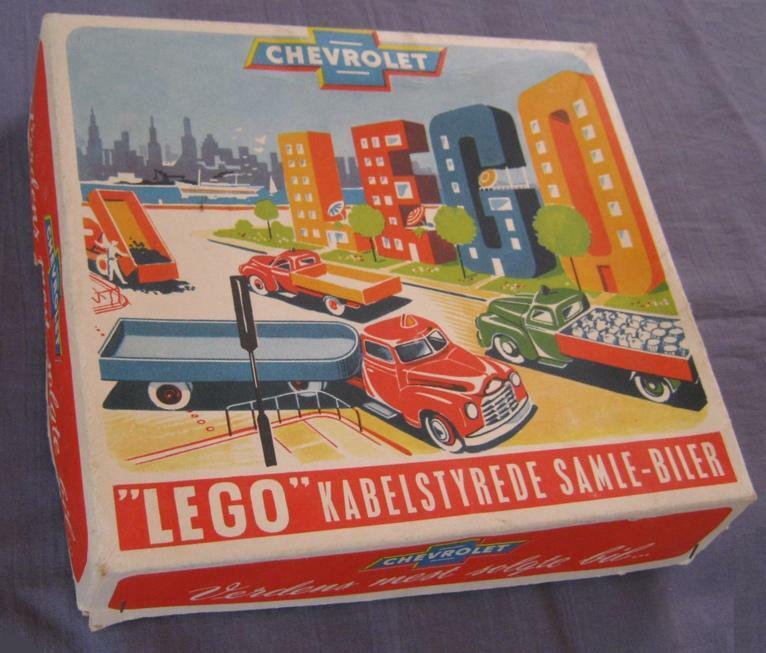 Through out the 50's Lego sold wooden and plastic toys together. 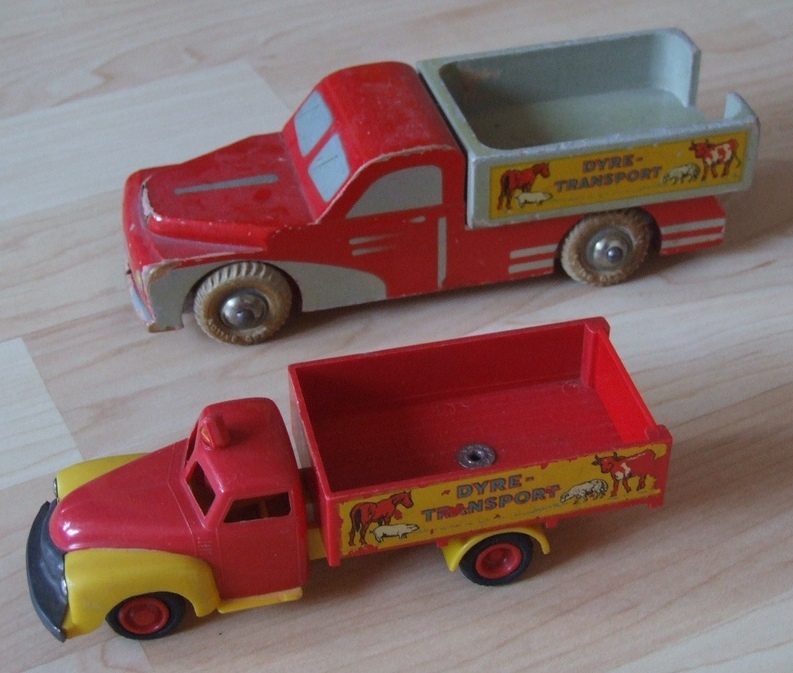 Many of the plastic toys had wooden accessories. 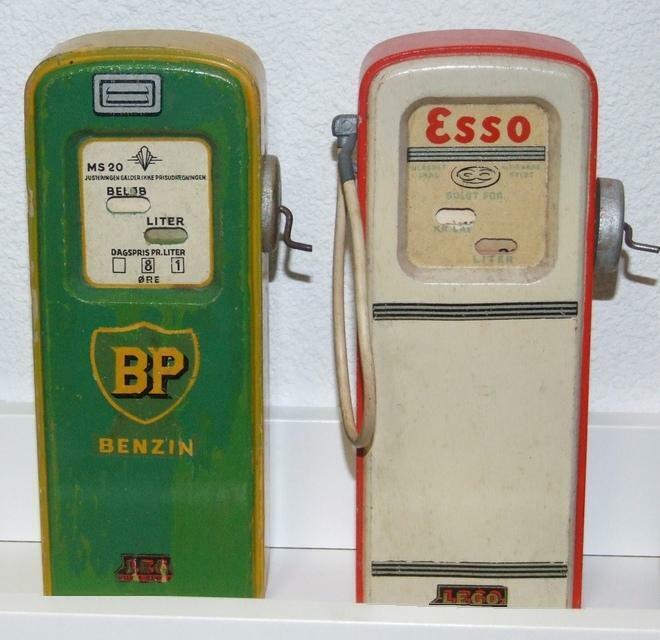 So while the 30's and 40's were wooden and 60's were all plastic, the 50's was a decade long transition between the two. 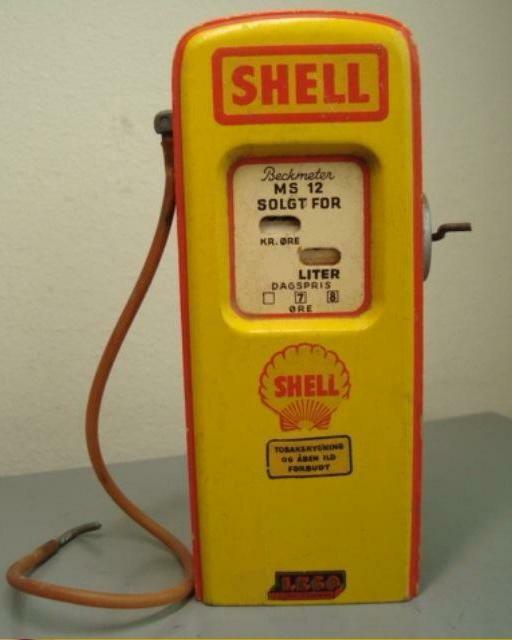 Are there any collectors of these in the U.S.A? Yes, I live in the US. How do you find these, I never have any luck. Part of it is eBay, part of it are connections I've made with other collectors/dealers and part of this is some family friends that are Danish. Yeah, the only person on ebay selling them is this guy called matchboxunlimited, do you know him? Yes, I've bought stuff from him before. He's a nice guy. But if you do buy from him look at the photos closely and ask questions. He photographs stuff so that it looks as good as possible. For example, he'll photograph a VW bug to minimize a damaged bumper or missing headlight in Mercedes. He's never lied to me when I've asked any questions. I've also learned how to ask the right questions and how to look at his photos. There are a couple of guys out of Germany I've bought stuff from. I don't remember either of their user names. It's been more than year since I last saw with one listing stuff. It's just a matter of searching and looking. I have a favor to ask. Would you be able to take pictures of the "classic" LEGO wooden Duck with a ruler? A few shots to get the general gist of dimensions and construction? I am getting in to woodworking and I think that the duck make a cool project to try and reproduce. Also, any other info on the construction (materials, etc.) you have would be greatly appreciated. Hey Big Mike, I'm out of town for the next week, so it will be a bit before I can consider this. I have some issues with this. It's letting a genie of the bottle. As a collector of vintage Star Wars figures there's an on going issue of people innocently asking for detailed information on rare items. Somebody else then uses that information to mass produce reproductions. I'm not saying this is in any way you want to do, but once this kind of information is out there it's hard to control. So I'll need to think about this.